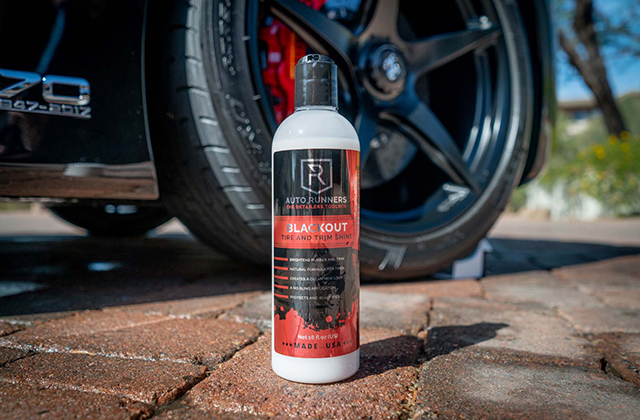 The product's advanced formula is so potent that it doesn't just hide the scratches, swirls, water spots, and anything in-between but also create an invisible but effective barrier that protects the car's surface from the elements. Plus, it comes with a buffer pad that you can use to apply the solution. You'll have to carefully and rigorously apply the solution over the surface. 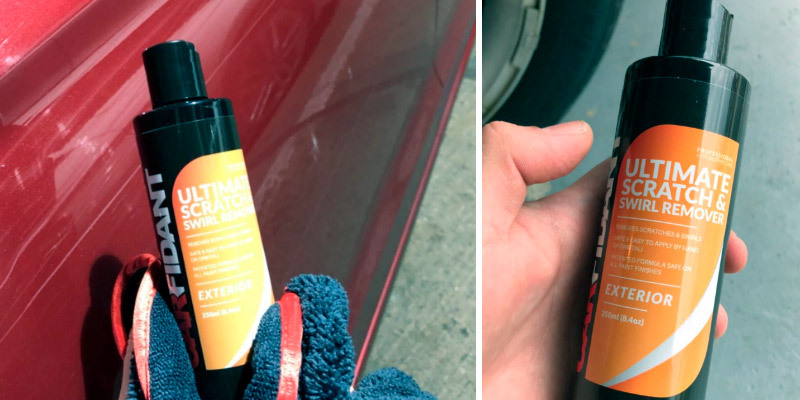 What we have here is probably the best car scratch remover on our list. As effective as it is efficient, the product's liquid formula doesn't require any additional maintenance and, for the most part, is a pleasure to work with. With this cream, you will be able to remove and practically erase years of wear and tear. Sometimes, it will prove capable of restoring the gloss and shine of your paint and bringing it back to its original brilliance. The formula doesn't incorporate unnecessary color dye or scents. Isn't as effective against water sports and oxidation as it is against scratches. 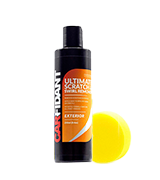 Carfidant Ultimate Car Scratch Remover more or less deserves that "ultimate" title. 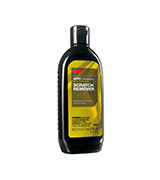 Doesn't really matter what kind of a contaminant you're facing, there's a very good chance this scratch and swirl remover will be able to tackle that issue. After removing the physical defect, the formula creates a wet mirror finish on all painted surfaces. The solution is equally effective on single stage, ceramic finishes, and clear coat paints. The formula doesn't include oils, silicone, or fillers. It is difficult to squeeze the cream out of the container. Chemical Guys COM_129_16 does it all. It works on all and any DA/rotary buffing machine. It works with all colors. For the same price, it gives you twice the amount of solution. Plus, it has a nice mild fruit scent to it. You can use the remover by hand. 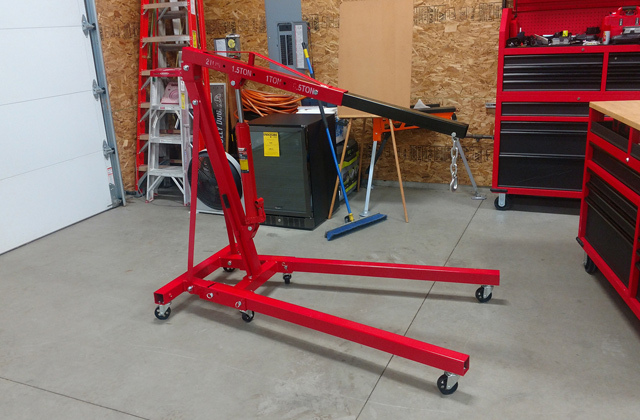 You won't need an orbital polisher or any other polishing machine. The towel works wonders for the smallest scratches, water spots, and oxidations, the brush is perfect for everyday physical defects, and the flannelette will help you with moderate scratches and swirls. The package and the bottle come with no step-by-step instructions. With this car scratch remover kit from Quwei, you won't have to buy any extra cleaning tools separately. 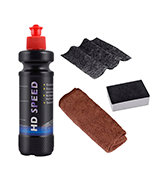 Everything that's required to make your vehicle look as good as it was on day one is right there in the package. 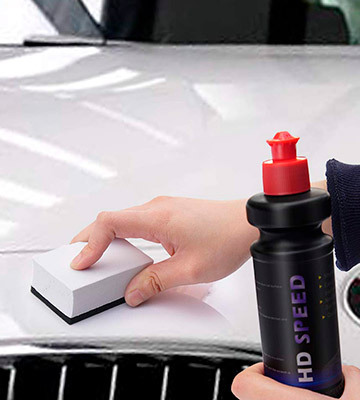 The product will allow you to remove and fix different course-to-fine scratches, swirl marks, or paint imperfections with next to no effort. 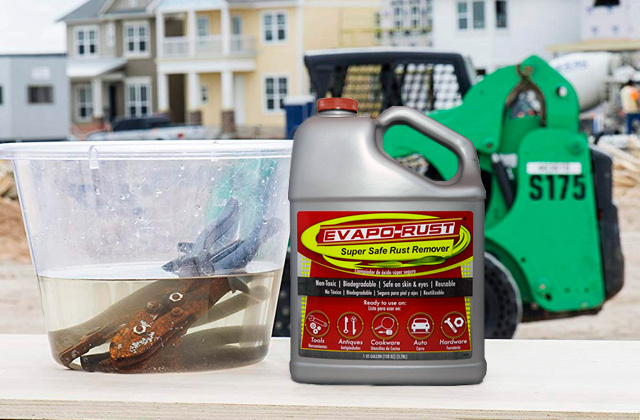 On top of that, the remover will help you with scuffs, oxidation, tree and shrub branch streaks, and just about any other surface contaminant. You'll probably have to reapply the solution after 2-3 car washes. 3M 39044 Scratch Remover isn't the best option on the market today but it is far from the worst either. Though it isn't all that cost-effective, the product is able to deliver professional results and the price isn't all that bad. TriNova 4350473923 (really rolls off the tongue, doesn't it? ), namely the people behind it, doesn't offer you anything out of the ordinary. 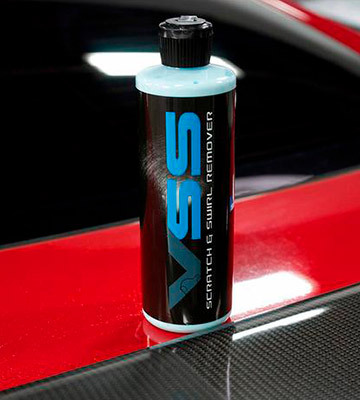 It is simply one of the most effective car compounds on the market today. 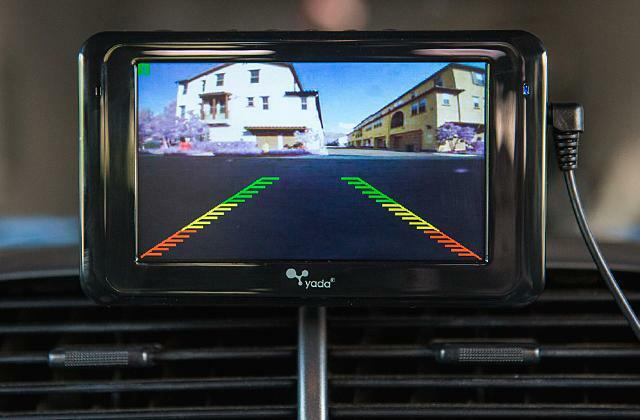 What's more, it is also one of the more efficient products. Though it isn't all that cheap, you won't need more than a couple of dime-sized drops to treat a really sizable area. It makes practically any light scratch and blemish disappear. That being said, we would recommend you apply the solution carefully and rigorously. Otherwise, it might not be able to hide the imperfection. 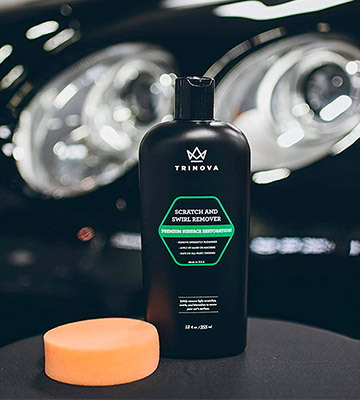 On the bright side, the product's advanced formula is so potent that it doesn't just hide the scratches, swirls, water spots, and anything in-between but also create an invisible but effective barrier that protects the car's surface from the elements. Furthermore, you won't need to buy any extra tool separately to apply the solution. All you'll require is a buffer pad that already comes with the package. Just squeeze a few drops onto it and you're ready to go to town on that scratch. 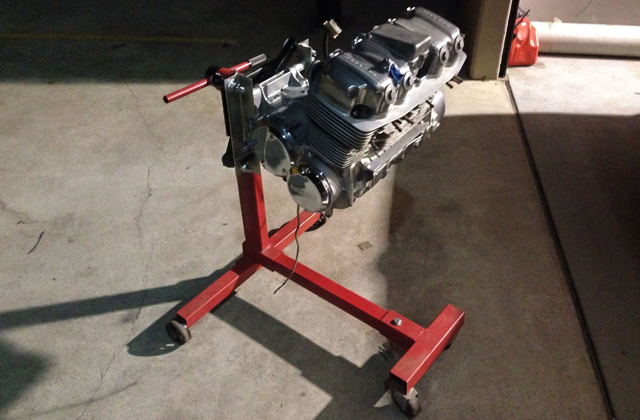 You won't need any high-maintenance tool or a polisher. 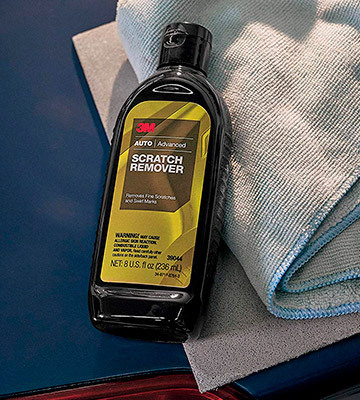 All things considered, what we have here is probably the best car scratch remover on our list. As effective as it is efficient, the product's liquid formula doesn't require any additional maintenance and, for the most part, is a pleasure to work with. 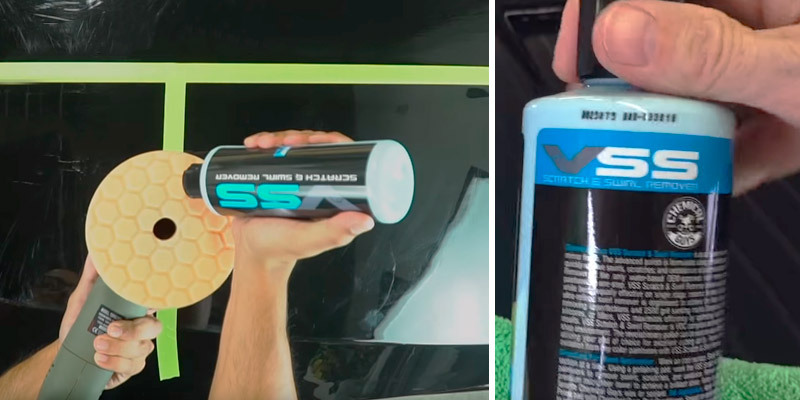 Dubbing your product the ultimate car scratch remover is easy to do but to actually deliver on the premise is a whole different story. Having said that, this formulated compound does come pretty close to it. It doesn't necessarily do or offer anything we haven't seen before. The product just does its job and it does it really well. With it, you will be able to remove and practically erase years of wear and tear. The people behind it also claim that the formula is perfectly capable of restoring the gloss and shine of your paint and bringing it back to its original brilliance. But whether or not it will be able to bring that gloss back will depend on multiple factors, so we wouldn't necessarily count on it. More often than not, their rubbing compound will not fail to remove water spots, oxidation, and other contaminants. 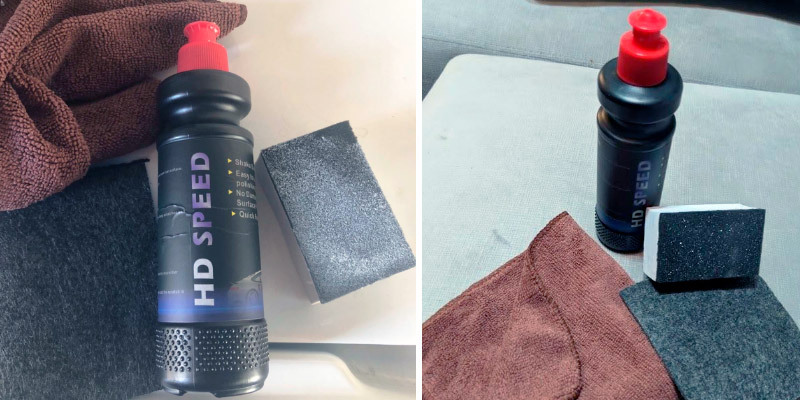 However, it isn't exactly as effective against water sports and oxidation as it is against scratches and swirls, so keep that in mind and try not to go overboard with the solution. On the plus side, the formula doesn't contain any harmful chemicals and it doesn't incorporate unnecessary color dye or scents. 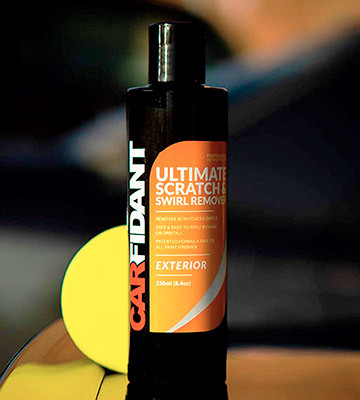 In other words, Carfidant Ultimate Car Scratch Remover more or less deserves that "ultimate" title. 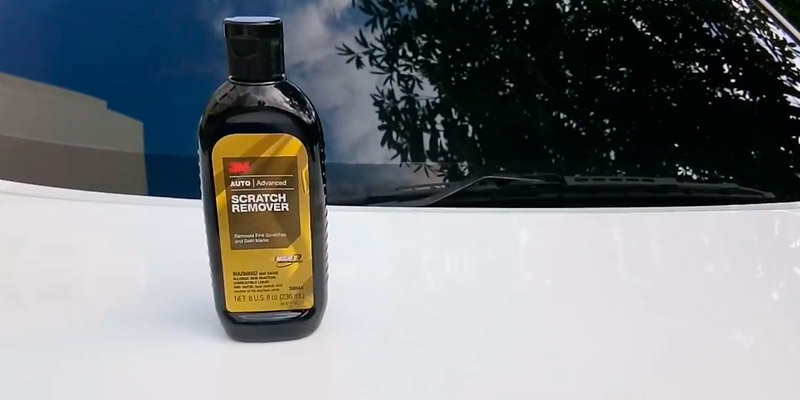 Doesn't really matter what kind of a contaminant you're facing, there's a very good chance this scratch and swirl remover will be able to tackle that issue. That said, it is particularly great for black cars. Chemical Guys COM_129_16 is pretty great and there are a few reasons why that's the case. First and foremost, the bottle is really cost-effective. 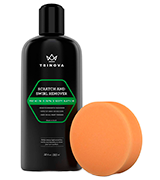 Its price tag is very similar to every other product here but the bottle contains twice the amount of solution, making it twice more affordable than your average scratch remover. However, it is just as (if not more) effective as these removers. With it, you'll be able to remove virtually any moderate and some heavy surface imperfections, from your everyday swirls to serious scratches, water spots, and oxidation marks. After removing these imperfections, the formula creates a wet mirror finish on all painted surfaces. Furthermore, the solution is equally effective on single stage, ceramic finishes, and clear coat paints. 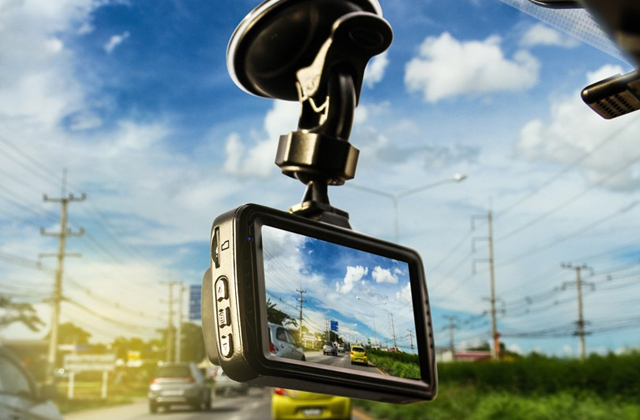 With it, you shouldn't have any issues fixing and hiding those little annoying scratches from your truck, motorcycle, or any other vehicle. The formula doesn't include oils, silicone, or fillers that do nothing but mask and cover these physical defects. It is really good against deep scratches. As far as we're concerned, the only downside here is that it can be a little difficult to squeeze the cream out of the container but not too difficult to cause any major inconveniences. Long story short, Chemical Guys COM_129_16 does it all. It works on all and any DA/rotary buffing machine. It works with all colors. For the same price, it gives you twice the amount of solution. Plus, it has a nice mild fruit scent to it. What Quwei presents here isn't a scratch remover but a full-blown car scratch remover kit. In addition to the liquid solution bottle, the company supplies you with a brush, flannelette, and a towel. Every one of these little tools will prove helpful and more or less suitable for different scratches, swirls, and other blemishes. The only problem we have with the package, in general, is that it doesn't include step-by-step instructions, a shame considering how otherwise comprehensive and complete it is. We can't say that the formula doesn't make up for it though. More specifically, the fact that you can use the formula by hand. You won't need an orbital polisher or any other polishing machine. Plus, it's not like the whole thing is difficult to figure out. You can use the towel for the smallest scratches, water spots, and oxidations. The brush is perfect for everyday physical defects, and the flannelette will help you with moderate scratches and swirls. 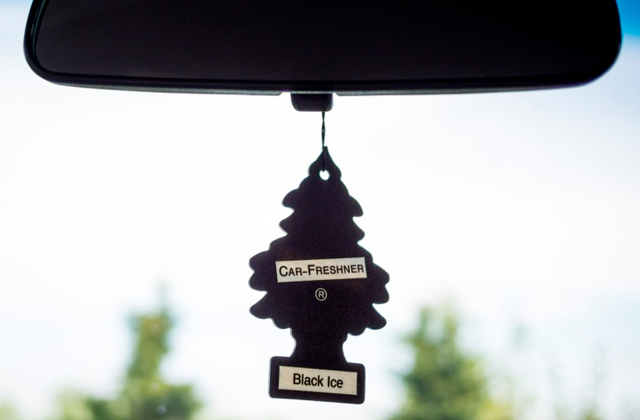 With this product in general, you'll be able to remove tree glue, bird droppings, and other similar elements. It helps against paint discoloration, bleaching, and, again, other similar oxidizing reactions. To put it differently, with this car scratch remover kit from Quwei, you won't have to buy any extra cleaning tools separately. Everything that's required to make your vehicle look as good as it was on day one is right there in the package. 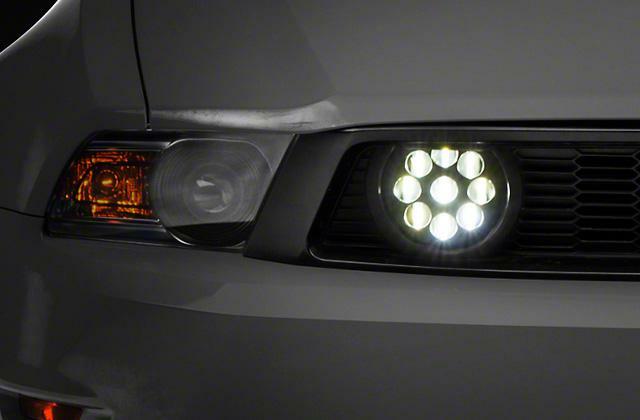 3M 39044 isn't a bad product, that's why we have included it in here in the first place. Now, there are reasons as to why it occupies the last spot on our list. First, the price relative to volume isn't bad but it isn't great either. Second, you'll probably have to reapply the solution after washing the car for a couple of times. These issues aside, the product should be able to deliver nearly professional results at a practically economy rate. With it, you'll be able to remove and fix different course-to-fine scratches, swirl marks, or paint imperfections with next to no effort. On top of that, the remover will help you with scuffs, oxidation, tree and shrub branch streaks, and just about any other surface contaminant. The product's formula doesn't contain wax, meaning that the liquid polishes out the imperfections instead of filling them. The powerful compound does a good job combining medium-cutting with fine finishing. 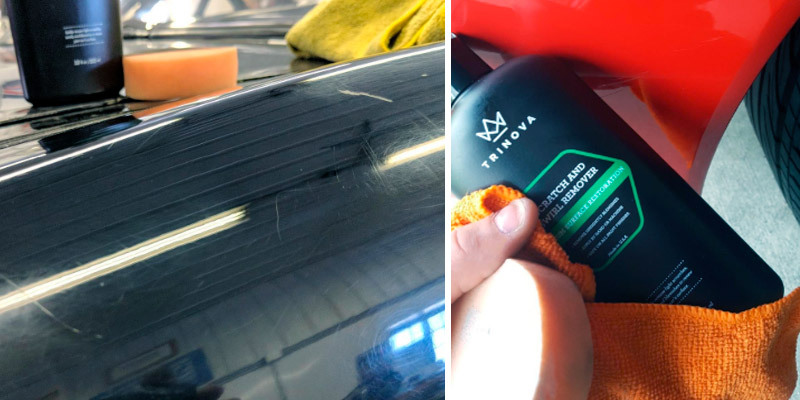 All that will be left after you're done with the remover is a high-polish finish that will make your favorite vehicle look particularly beautiful. Simply put, 3M 39044 Scratch Remover isn't the best option on the market today but it is far from the worst either. Though it isn't all that cost-effective, the product is able to deliver professional results and the price isn't all that bad. There's something about cars that makes us want to treat them not just as expensive objects but something that you can practically fall in love with. Some people care more, some less. But we all prefer our cars looking nice and polished, with that factory-new look. 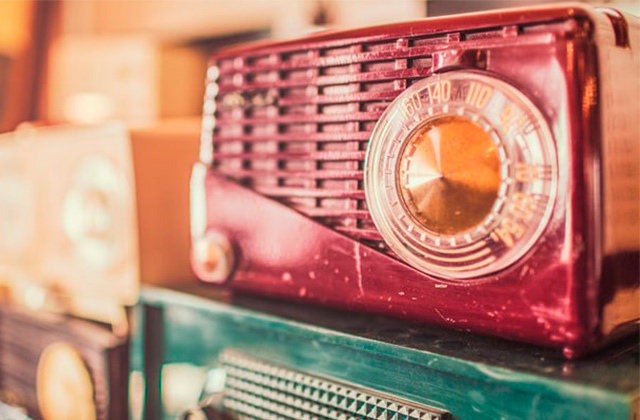 However, cars aren't paintings or any other similar elements of decor that you can keep nice and safe indoors. No matter how careful you are with your favorite vehicle, it is going to get scratched. Sooner or later, it will start losing its awesome original look. But, with a quality car scratch remover, you'll be able to restore its appearance back to its glory days. 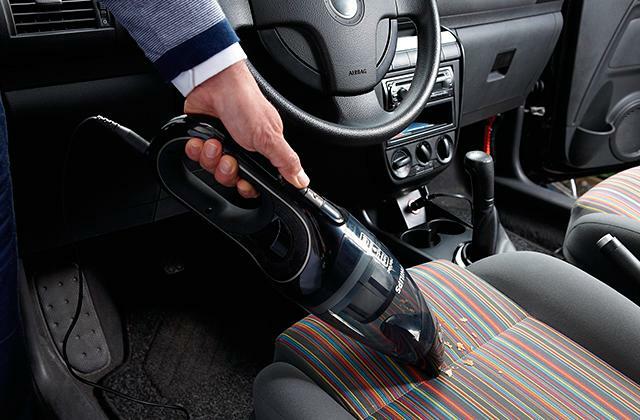 Using a product like that, you can remove any scratch, swirl, water, and oxidation spots. There are some application differences and certain products (even on this list) are better at some things than they are at other things. That being said, every single remover here will allow you to make your automobile look almost as good as new, so make sure to read our reviews and you should be able to figure out the right product. 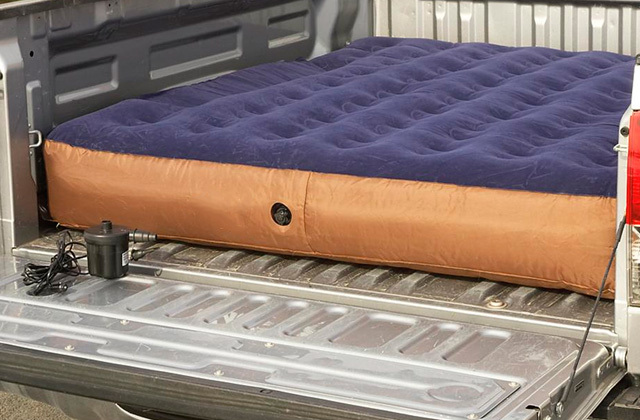 Though relatively versatile, these products won't help you against rust. You'll need a rust remover for that. After a scratch remover, you can also consider applying one of these car waxes to bring that nice gloss back.